Part 1 is is here. On the Maine-birds listserve, we see South Portland often abbreviated as “SoPo,” which may not be familiar to people from outside the immediate area. No complaints. “FOF” for first-of-fall, or “FOS” for first-of-season has been used repeatedly on Maine-birds recently (and of course the FOYs will start pouring in in January), but no public complaints were made. “LBJ’s?” A common occurrence, but apparently its OK to disparage an entire group of birds with a simplistic acronym. Also, as an experiment, I typed “ABA Blog” into my post. While two people offered the definition of ABA (none actually complained about its use, however), and no one mentioned that “blog” itself is shorthand for “web log,” but again, it’s now a society-wide accepted abbreviation. Only one person referenced a dislike for alpha codes because of the ubiquity of acronyms in the rest of society these days. We do know birding is escapism for many (one of the reasons conservation issues are so disturbingly controversial), and the rejection of alpha codes may be part of that for some. Most of the people who suggested alpha codes were only for scientists suggested “intimidation (1),” or “an added layer of confusion/challenge (3),” and therefore the codes were “exclusionary (5).” While it is certainly true that alpha codes were developed for ornithologist – banders in particular, hence the reference to “banding codes” – why should that be a barrier to wanting to learn them? NEXRAD Radar was developed for scientists for military use, and many of the components of our optics were designed for the military or hunters, not “us,” and yet we embrace them. We live in a country where politicians get away with ignoring or rejecting facts and reality by claiming “I’m not a scientist.” “Intellectual” has become a derogatory word. Politicians are lauded for their “regular person” mentality. Experts are no longer people to be appreciated and learn from, but instead people to be threatened by. In birding, how often does it happen that a polite, quizzical comment is met with an intense “I know what I saw” reaction? Ask any eBird reviewer. Why? Why the divide? I learned from “experts” when I was birding, and I emulated what they did. Those more knowledgeable than I were, are, and always will be a resource, and not a threat. At least for alpha codes, there seems to be a resistance to learning. Ironically, 5 people suggested that “someone should post a link to the code’s translations” on the listserve. Four people did. But those who were being helpful were apparently ignored. What 2 people mentioned was that part of the frustration and lack of tolerance for codes come from their inaccurate use. This is a big deal. Folks have used codes incorrectly, and we’re not talking the random typo. 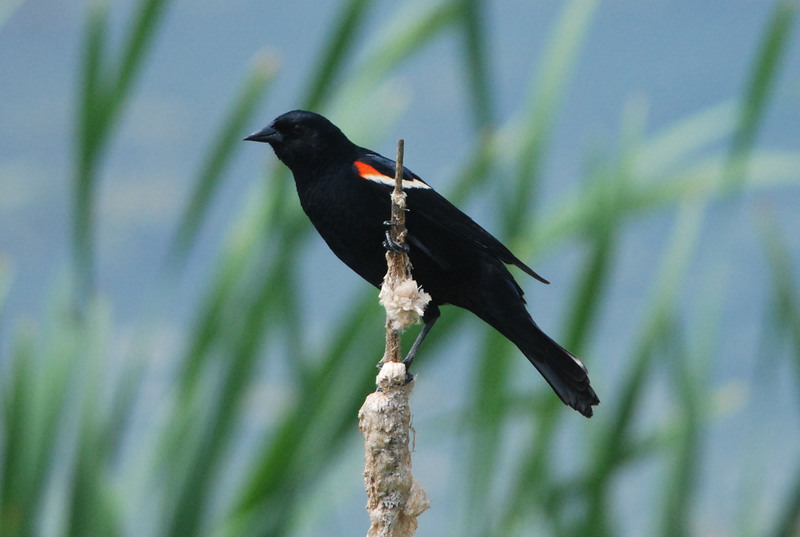 “RWBB” is one of the most common, but as we know, Red-winged Blackbird is actually “RWBL,” following the standard rules. One sarcastic post to Maine-birds, in which the poster used a four-letter abbreviation for site locations (and his own name) got one of those wrong. There is simply no excuse for using wrong codes, and while plenty of us might have our own codes for our own notes, it is clear that personal codes and abbreviations that only make sense to one person have no business being used on a public forum. One particular regular poster to Maine-birds was cited by 4 people for his use of his own shorthand, which doesn’t follow any rules or convention. Two of those respondents agreed that they therefore don’t read his posts at all. So we seem to have a consensus that four-letter codes should not be used as sole – or even primary – methods of communicating bird reports on listserves. Some listserves even have rules about it. But when someone does, is it really worth getting upset or even complaining about? Certainly, it can’t be worth getting upset over. Just hit delete, or better yet, take it as a learning opportunity. Sure, there are elitists out there whose condescending posts and incessant quizzing of every sighting turn people off. But again, just don’t read those posts if you don’t like them. As one person commented, “I don’t make the rules here, so do what you want. I just don’t read posts that only have codes.” Fair enough. That is absolutely someone’s prerogative, and I respect that. In reading and re-reading the responses to my query, however, I began to find myself bothered by the irrational negativity, hypocrisy, and accusations (from both sides). While I love irony, I despise hypocrisy, and several of the most aggressive posts against code use were incredibly hypocritical (like the one who publicly railed against them, and then in his next post, used a military acronym that, when Googled, doesn’t show up until the end of the third page of search results, unlike almost every bird code). Some responses were simply mean – again, on both sides – and incredibly off-putting. One person argued that those that use codes “is at best thoughtless; certainly rude and at worst the person is dismissive and demeaning.” Really? I received 2 pieces of hate mail, including one calling me names for even suggesting that the use of codes was anything but terrible. Facebook tells us what we want to see, Yahoo! sends filtered “news” stories that it insists you want to read about, and TV news tells you exactly what you want to hear. Dissenting opinions are met with animosity, rejection, or dismissal. “I think we live in a culture where we expect everything to be done for us and to be perfect,” offered one respondent. But this blog is way too long as it is, we don’t need to get into a deeper discussion about the woes of our society. But birding and birders are a sample of the rest of society, admittedly an eclectic and passionate one. Here in New England, in the heart of Patriots Nation, I hesitate to quote another quarterback, but perhaps Aaron Rodgers said it best. R-e-l-a-x. Don’t let four-letter codes or the people who use them for any reason get to you. Ignore them, or better yet, learn them. But please, do we have to waste this much time and inbox space ranting about them? Is it really that important? Don’t we have better things to discuss? Like, say, the drastic decline of so many of our favorite birds? Although people have lots of reasons for liking or disliking alpha codes, can’t we all just get along and move forward as birding community?